Announced today at Apple’s WWDC 2017, the long awaited Monument Valley 2 is now available on iOS. 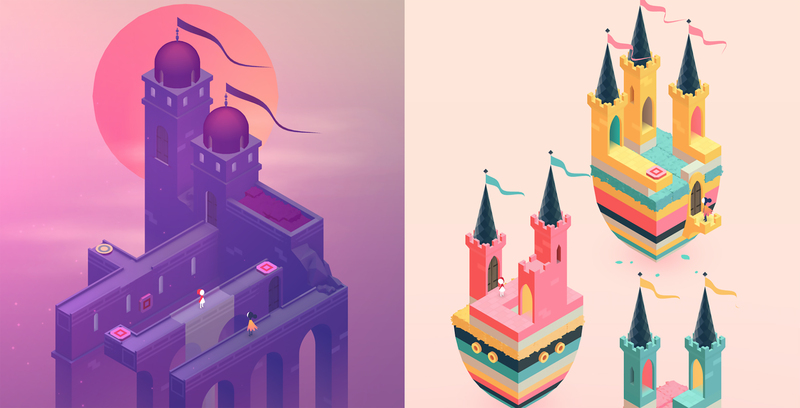 The original Monument Valley indie puzzle game was developed in 2014 by Ustwo Games. The original came out on iOS before making its way to Android. The game’s puzzles were influenced by M.C Escher, thus providing complexity and a sense of accomplishment after defeating a given level. It’s been three years since the original release, and we’ll have to see if Monument Valley 2 can live up to its predecessor. The original Monument Valley won an Apple Design Award in 2014 and has been downloaded more than 30 million times. Monument Valley 2 tells the story of a character named Ro and her daughter. The goal is to help teach Ro’s daughter the mysteries of the valley by exploring the environment and manipulating the architecture to guide Ro through the ever-changing landscapes. Ustwo says it took inspiration from sources such as mid-century illustration, theatre, toy design and even confectionery to design Monument Valley 2. You can purchase Monument Valley 2, here, for $6.99 CAD on iOS.